A simple look at the internet shows quite clearly that there is an army of so-called “professionals” and “teachers” out there – those whose ability to switch on a camera and make YouTube recordings of themselves butchering a tree far surpasses their actual Bonsai knowledge, skill and teaching prowess. So how do you recognise a good Sensei, Master or Teacher? 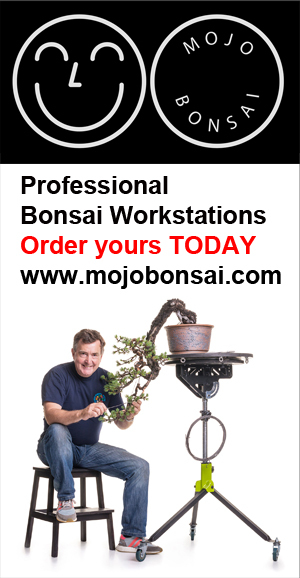 Just as you trust a recognised name in anything you buy you must do the same when choosing an online bonsai course. Two of the biggest names in Bonsai have collaborated on producing an Advanced Bonsai Course, Bjorn Bjorholm and Bonsai Empire have put together an exceptional course for intermediate and advanced learning. I consider $69.99 for lifetime access with no membership incredible value for money. I have been working with bonsai for over 30 years but still, I found this course to be informative, educational and enlightening. Perhaps the most valued aspects of this course are the detail video coverage and execution of techniques. I particularly liked the approach grafting as I have not seen anyone go into the level of detail as shown on this course. This is the Advanced course and Bjorn does refer back to the Intermediate course on a few occasions so it’s worthwhile subscribing on that too! So the burning question is why pay when you can get it for free? The answer is simple, this course is concise, well executed and damn good value for money. “It’s unwise to pay too much, but it’s worse to pay too little, or even free. When you pay too much; you lose a little money – that’s all. When you pay too little or even get something for free, you sometimes lose everything, because the thing you bought was incapable of doing the thing it was bought to do. Hi Tony, I have only been practicing the art of Bonsai for a few years, so am definitely not someone qualified to pass judgement. however, I must agree wholeheartedly with your thoughts on some of the YouTube “Instruction”. I personally subscribe to Bonsai Marai run by Ryan Neil and his team, although American at heart they cover a wide range of trees and occasionally bring in Peter Warren for a UK hit. I just wondered if you have seen any of it and what you thought of the content? Ryans content is first class, the work he does is awesome. And Peter too does some great work… you do know I know these personally! I thought you might 😁. The bonsai world seems a very close knit place.